Jason Kravitz (Brussels, Belgium) on 9 August 2006 in People & Portrait. 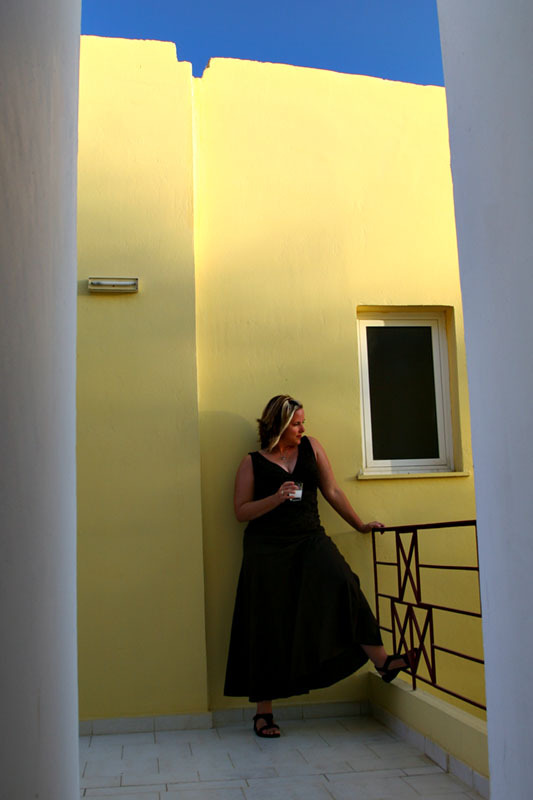 Leslie having a glass of Ouzo at the Elotia Hotel in Agii Apostoli Crete. It's like Leslie live here from a long time. She's at home. Good to have you both back. The weather looks great. Leslie looks relaxed and into the spirit of Crete. Hello Leslie! Glad to see you guys had fun. Looking forward to more pics. Hey there! It looks like you are loving Europe. Love the tranquility that Leslie projects. The colours and featureless walls are all well captured too.